Our commitment is to set the standard for imaging in medicine. We are dedicated to providing the highest quality imaging services, reporting, safety, education, and research. To continue to build this department of distinction, we must rely on the generosity of individuals who share our vision. Philanthropy has played an important part in enabling and sustaining this vital work. 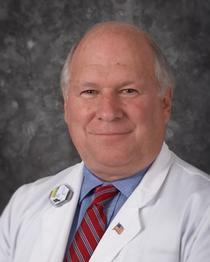 Carl E. Ravin, MD served as chair of the Department of Radiology for 23 years (1985-2008). Under his outstanding leadership, the department gained a national reputation for excellence in patient care and clinical training that continues today. Dr. Ravin’s efforts established the Duke Radiology residency program as one of the best in the world. In honor of Dr. Ravin’s accomplishments and contributions during his tenure, friends and colleagues have established a permanent endowment in his name. The Carl E. Ravin, MD Radiology Fund will provide unrestricted support for the most pressing needs of the Department of Radiology in perpetuity. Depending on the amount of funding raised, the endowment’s purpose may change. At an increased level of philanthropy, the endowment may be renamed The Carl E. Ravin, MD Radiology Fund for Resident Support and provide program support for residents in the Department of Radiology. However, our goal is to honor Dr. Ravin with the establishment of a unique three-year termed assistant/associate endowed professorship in his name. This professorship will preserve his legacy and provide opportunities for early- and mid-career faculty in perpetuity in the Department of Radiology. Unlike many traditional named professorships, this one would be termed for three years, with a competitive renewal process to ensure salary support has continual impact. The endowment may be renamed The Carl E. Ravin, MD Assistant/Associate Professorship Fund once it is fully funded. Honoring Dr. Ravin with this lasting tribute will benefit future generations of radiologists who shall not forget the contributions that he has made to patient care at Duke University and beyond. Radiology General Support Fund (Click here) This fund allows the flexibility and resources necessary for the chair to address the greatest and most pressing needs in the department each year. Radiology Resident & Fellow Alumni Gift Fund (Click here) This opportunity allows alumni to support our current radiology residents and fellows in becoming the next generation of leading clinicians and scientists. Dr. R. Edward Coleman Research Fund in Radiology (Click here) This fund provides seed funding proposed by residents and fellows and performed under the supervision of a faculty mentor.